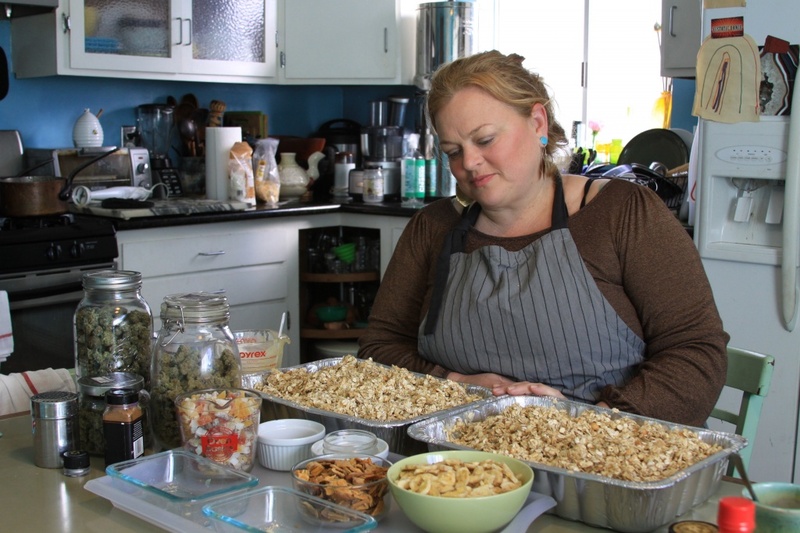 Gina Golden stirs up a batch of her “Island Queen” cannabis-infused granola from her home kitchen in Oakland. It’s a far cry from the commercial kitchen she used when making her 12 year-old Golden Goddess line of edibles. 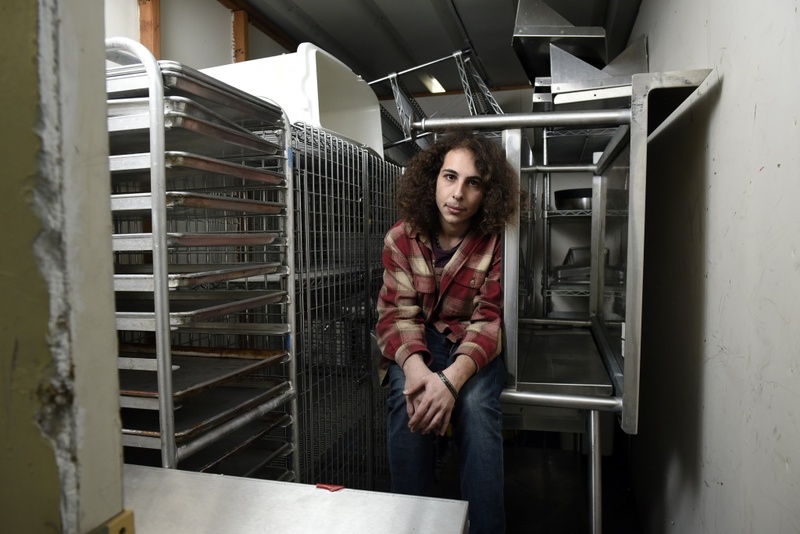 In 2017, the city of Oakland deemed Golden’s rented commercial kitchen space ineligible for a license to make legal edibles for California’s recreational or medical markets. So Golden stopped renting the space and does not know what’s next. 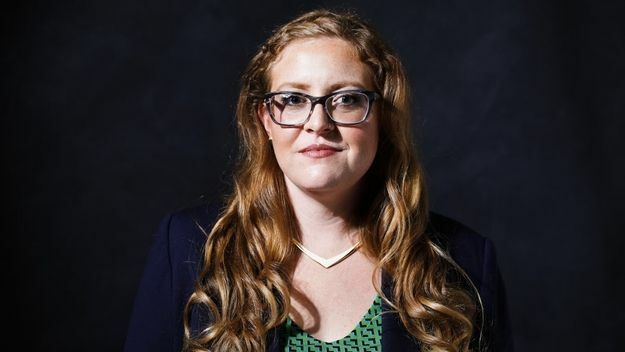 Golden is one of many California artisans who’ve discovered the state’s new legalization regime makes it all but impossible for her products to legally be sold in cannabis dispensaries. 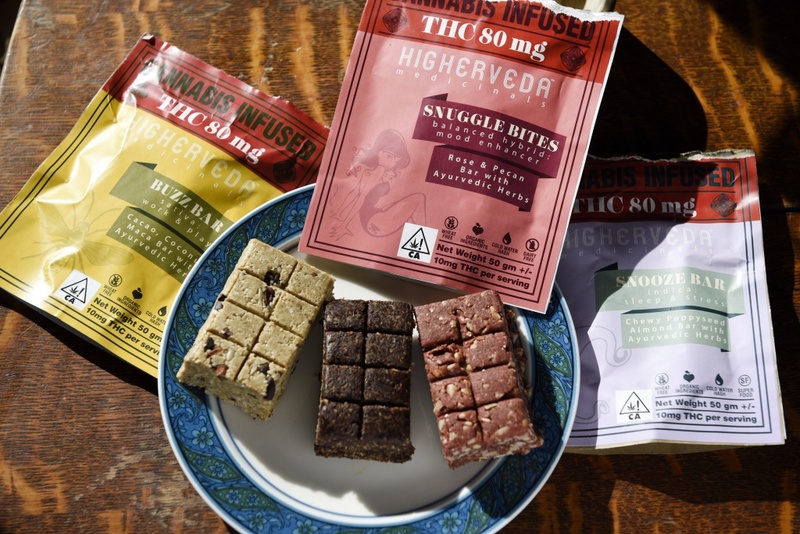 Lost in the excitement over the launch of adult-use sales Jan. 1 is the death rattle of thousands of California’s small and medium-sized cannabis-infused food and drink-makers like her. The Golden State sold about $180 million in cannabis edibles in 2016, according to analysts at financial data company Arcview. In 2018, just 28 companies have the most basic state license to put marijuana in a brownie, state data shows. 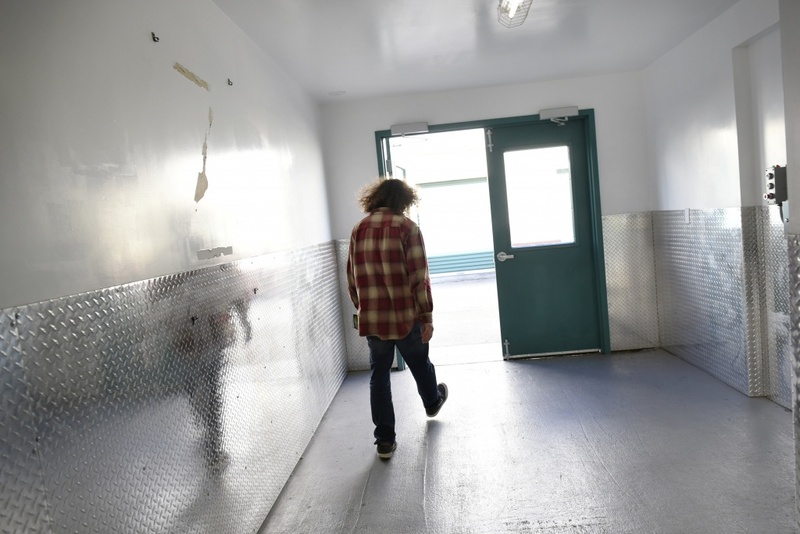 While everyone expects the edibles market to grow as consumers try smokeless cannabis products, industry experts like Steve DeAngelo, CEO of Harborside in Oakland, predict an “extinction event” for 75 percent of the existing industry. That’s because most bakers live in a city or county hostile to their businesses. The cooks who can get licensed in a friendly city face steep rents, new taxes and fees that eat up any profits from the enterprise. 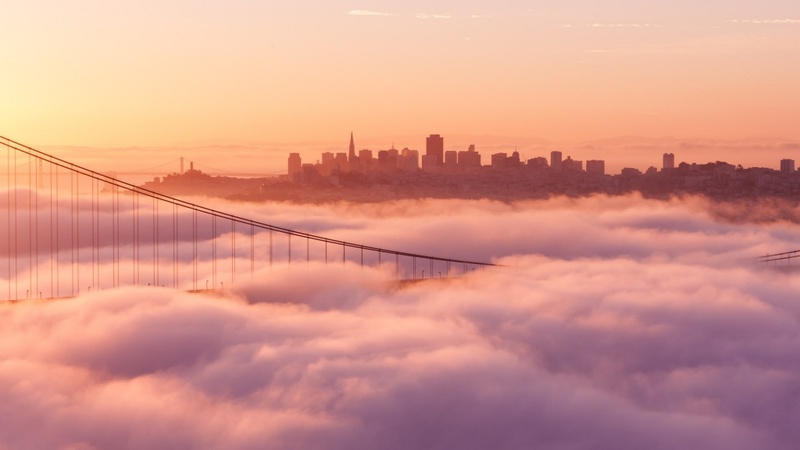 According to industry consultant Sean Donahoe, California’s cannabis industry is on track to follow Colorado and the rest of mainstream American business — where the forces of regulation and consolidation leave the bulk of commercial activity in the hands of the few. Local cities and counties can head off the extinction by allowing small kitchens, letting them locate in more parts of town and making licensing cheaper. California’s 20-year-old gray market in medical marijuana was a dream scenario for edibles entrepreneurs. Companies could launch in home kitchens with little more than some marijuana, some recipes and some moxie. Problems with the old laissez-faire system included imprecise dosing, missing labeling and packaging standards. 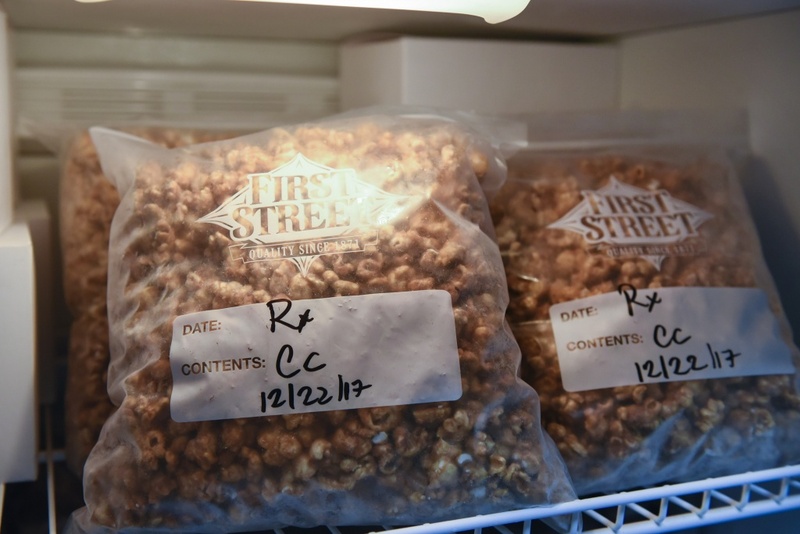 Edibles sometimes ended up in the wrong hands — those of underage users, or shipped out of state. The state’s new regulations tackle these problems, at the cost of most edibles businesses closing. Cannabis businesses went from no barriers to entry to bigger barriers than regular businesses. That’s because most cities have banned cannabis kitchens. The few places that allow kitchens do so in tiny slivers of their industrial zones, called “green zones.” Thus, green zone rents are multiple times higher than anywhere else. Modern business costs are also burying legacy marijuana chefs. It takes hundreds of thousands of dollars to launch an edibles business now, said Donahoe. And you can’t get a bank or a government loan to amortize capital improvements like normal businesses do. These costs include: tens of thousands of dollars in upgrades to raw industrial spaces; local inspections by multiple agencies; thousands of dollars in state and local permit fees; 300-plus pages of new regulations to follow; workman’s compensation and liability insurance; and fees for licensed lab testing and distribution. Once you’re in the legal market, it’s no picnic, either. 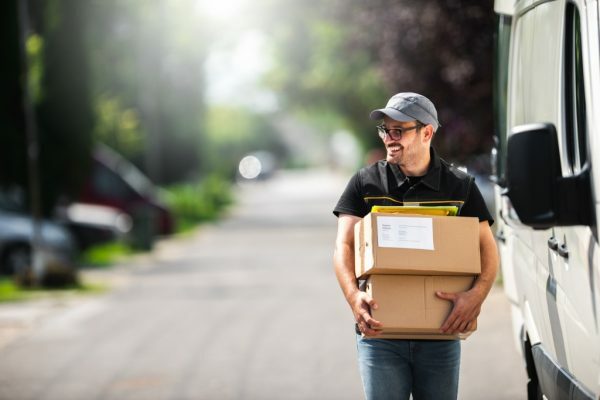 Local and state licensing have slashed the number of legal retail outlets — dispensaries — from around 2,000 in 2017 system to 300 in 2018. On the shelves, edible prices can be 40 percent higher than the black market, due to both state and local sales and excise taxes. According to Golden, while the public benefits from better oversight, the new regime blocks small businesses’ path to compliance. The biggest roadblock for most small edibles businesses is available space to rent at a fair rate. Brian Edwards, co-founder of HigherVeda, built a following for ayurvedic-inspired, healthy cannabis foods over the last three years. Today, all of HigherVeda’s equipment is in storage. Edwards made a costly mistake — he believed Oakland officials who said commercial zoning would allow for cannabis edibles producers. 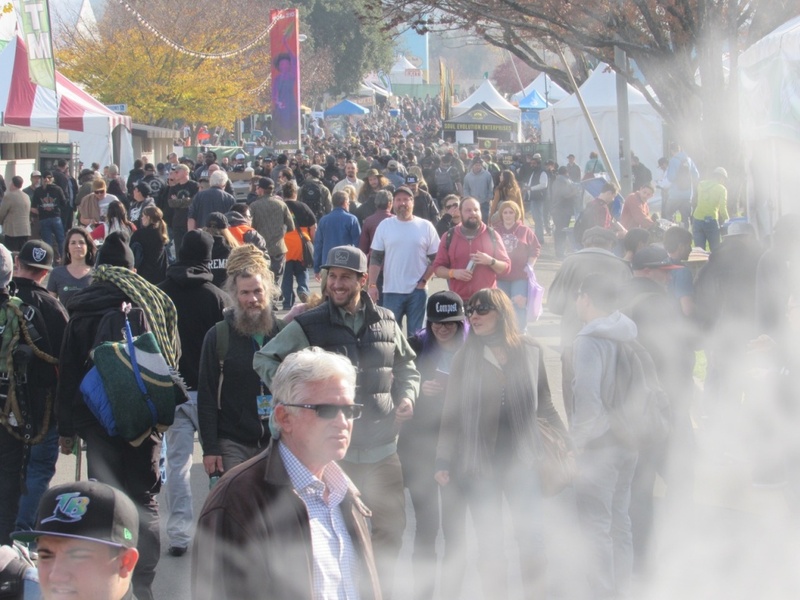 Beyond Oakland, about 65 percent of all cities and counties in California have banned cannabis business activity. “No other municipality was going to allow us to operate in commercial zones,” Edwards explains. This is killing small edibles producers, experts say. 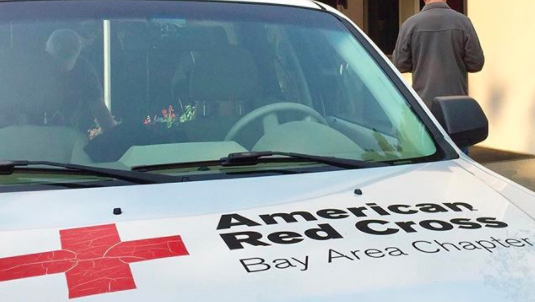 HigherVeda moved to Oakland, got a tax certificate, and started paying taxes and rent. Like other startups, he rented a more affordable space in a pre-existing kitchen, rather than renting a large, raw industrial space requiring an expensive upgrades for safety and disability access. On December 1, instead of the promised clarification, Edwards received a fine for illegally operating a cannabis manufacturing facility. The bill: $4,600, plus $1,000 per day starting Jan. 1. Edwards terminated his $1,800 monthly lease on Dec. 7. To date, Oakland — a city of 420,000 people — has given just nine companies the most basic “Type N” license to add cannabis oil to food. Golden had the same fate. Since 2006, Golden has been supporting herself working with cannabis. After graduating from art school, she started working part-time snipping the large leaves away from the sticky buds to prepare them for retail sale. Golden would repurpose those leftover trimmed-off leaves and small buds to make an expanding line of branded foodstuffs, eventually expanding into cultivating her own garden and creating granolas, infused honey and bottled hot sauces. Over the years, Golden said she rented time in a commercial kitchen, but could never secure a stable, compliant location. And it’s not just the sole proprietors being driven out. Larger, more established brands are feeling the pinch as well. Taxes, fees and regulations are narrowing margins for all but the biggest business that can realize economies of vast scale. At its most successful in 2013, Auntie Dolores could be found on the shelves in over 600 dispensaries, and the homegrown Oakland-based business boasted 15 employees. Founded by Julianna Carella in 2008, Auntie Dolores went from being a Dolores Park vendor to an industry leader with a reputation for gourmet, savory ingredients and consistent effects — a rarity in the world of cannabis food. But it wasn’t enough to make the business viable in today’s market. 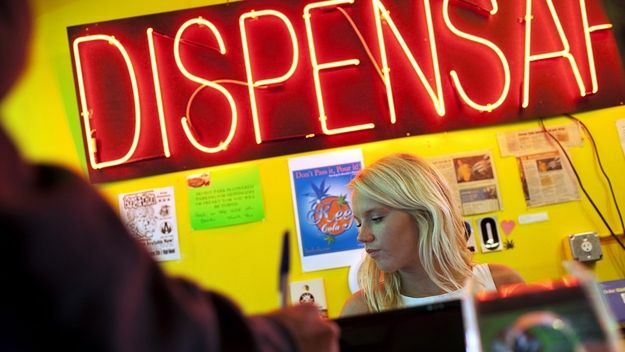 Legal cannabis taxes can total 46% at the cash register. Here’s how it adds up. The costs didn’t stop there for Auntie Dolores. 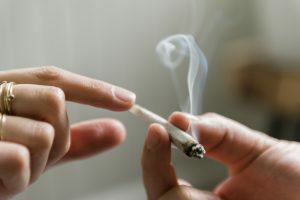 The added expenses of packaging, labeling and lab-testing combined with increased costs to source raw cannabis materials and limitations on product potency all pushed her already razor-thin margins into the red. 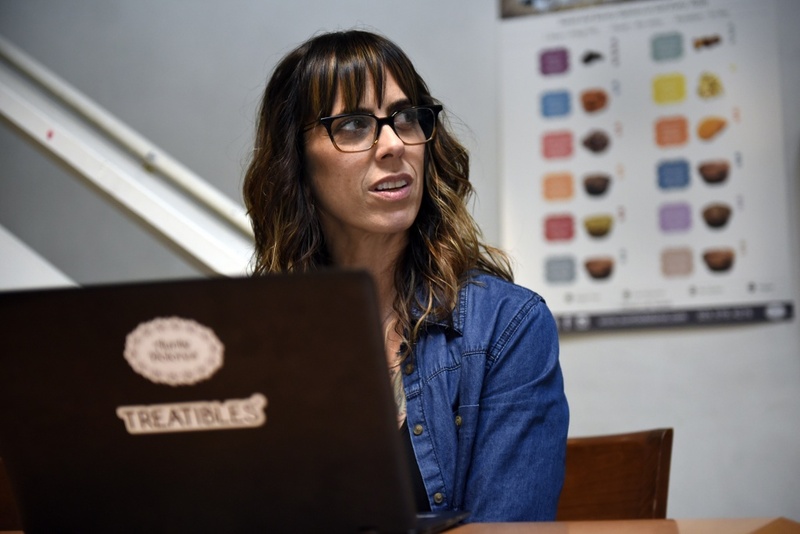 Carrella laid off a few employees and decided to cease production on her line of edibles, focusing instead on Treatibles, a CBD dog treat brand. Various cities and the state continue to grant more licenses each week, even as the forecast remains grim for small producers. Few brands have the reserves to wait for cities to lift bans, for rents to come down, for lower taxes, simpler regulations and more retail outlets stores to open. 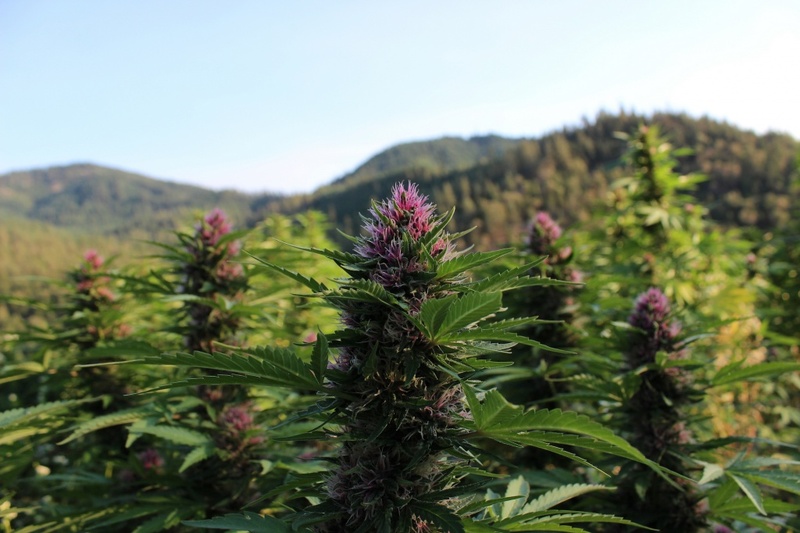 California can avert the extinction of most of its edibles producers with more local permitting, and more licenses for shared kitchen space where multiple small brands can share equipment. Some consolidation is inevitable but consumers want options, he said. “While some people may like the large, corporate homogenized substances, that still leaves room for the experience-based food or drink, for one out of four days a week. “People love Costco and people also love the big handful of soda brands. When you’re consuming a grab and go, easy-to-identify consumer substance — you appreciate consistency, reliability and ubiquity. But there’s nobody that drinks soda that drinks Coke exclusively.